These three new orphan babies were abandoned by their mother, because she was disturbed in the shed where she gave birth. 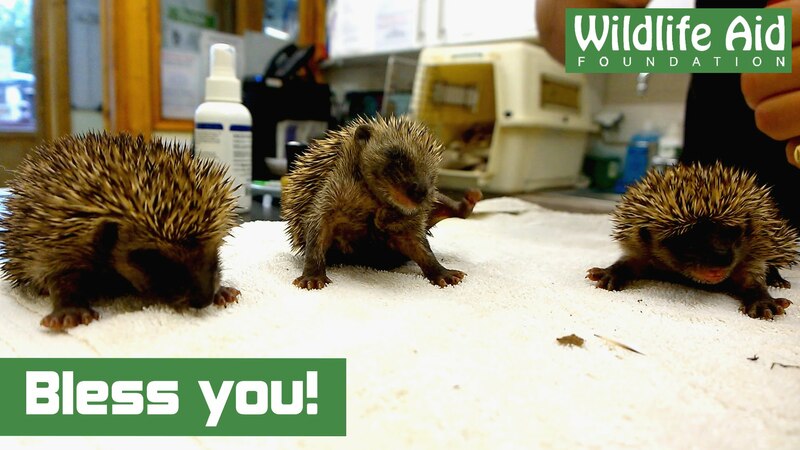 The hoglets were left alone for around 24 hours before they were brought to Wildlife Aid. We are now taking good care of them by keeping them warm and feeding them every few hours. They are able to roll, scratch themselves and even sneeze! These three siblings are joining our ever growing hedgehog population.